I'm Working on a Hack on MM4 But the only thing i've Done is ReMod the weapons but i am Horrible with ASMs and i can't Sprite good so if any one wants to help me just PM Me. The Hack will hopefully be finished in 2010.
aint it kinda pointles to let us know(god bless you......) that you might finish a hack "sometime 2010" without even 1 picture? well i'm stiill figuring out this board's Thing and any way how do you put pics up? Dear jesus the similarity to jermboy. Last view: 69 days What do you mean by spriting? Like you couldn't draw or assemble the sprites together. I'm not very good at it. I'd wager a guess he's talking about actually drawing them. Well unfortiently,i cant Do Sprites on the game and Btw Chiko's worse! 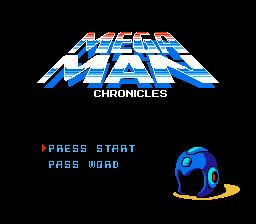 thought i mention this is my first Rom Hack and i still need help. MySQL - queries: 66, rows: 94/0, time: 0.045 seconds.